Constance Mary Towers (born May 20, 1933) is an American actress and singer. A native of Montana, Towers began her career doing radio plays as a child in the Pacific Northwest before relocating to New York City where she professionally studied at the Juilliard School of Music. She made her film debut in the Technicolor picture Bring Your Smile Along (1955) before earning recognition for her roles in John Ford's civil war film The Horse Soldiers (1959) and western Sergeant Rutledge (1960). She would later appear in two controversial roles in Samuel Fuller's experimental thrillers Shock Corridor (1963) and The Naked Kiss (1964). Beginning in 1965, Towers embarked on a career in theater, making her Broadway debut in the musical Anya, opposite Lillian Gish, followed by a 1966 production of Show Boat at Lincoln Center. Towers would star in four other Broadway productions throughout the 1970s, most notably as Anna in The King and I in 1977 and 1978. Her later career largely has been based in television, with notable roles as matriarch Clarissa McCandless on the daytime drama Capitol and the villainous Helena Cassadine on General Hospital, the latter of whom she began portraying in 1997. Towers was born in Whitefish, Montana, the daughter of Ardath L. (née Reynolds) and pharmacist Harry J. Towers. Both of her parents were Irish immigrants. In 1940, when Towers was in first grade, she was discovered by talent scouts visiting Montana in search of child actors for radio programs. She then worked as a child voice actress in Pacific Northwest-based radio programs for three years. According to her official website, Towers was offered a contract with Paramount Pictures at age 11, but the offer was declined by her parents. At age 12, she worked at a small local movie theater in her hometown of Whitefish. In her adolescence, her family relocated to New York City for her father's work. There, she attended the Juilliard School of Music and American Academy of Dramatic Arts. She studied singing with well known voice teacher Beverley Peck Johnson. Towers in The Horse Soldiers (1959). Towers made her film debut in a supporting part in the Technicolor film Bring Your Smile Along (1955), followed by a supporting part in the crime thriller Over-Exposed (1956). 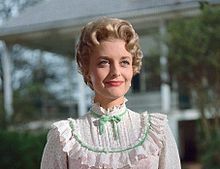 In 1958, Towers was cast in her first lead role as Hannah Hunter in John Ford's civil war film The Horse Soldiers (1959), opposite John Wayne and William Holden. The following year, she appeared in Ford's follow-up film Sergeant Rutledge (1960), a racially themed crime Western. In 1963, Towers was cast in a supporting role in Samuel Fuller's experimental thriller Shock Corridor (1963), which tells the story of a journalist who commits himself to a psychiatric hospital to solve a murder. Her role as a stripper in the film was described by Bosley Crowther of The New York Times as "hard, driving and realistic." In preparation for the role, Towers spent time at exotic dance clubs in Los Angeles. Fuller cast Towers again in a lead role in his following film The Naked Kiss (1964), another lurid and hard-edged thriller, in which she plays a crazed prostitute who attempts to assimilate in suburbia after having battered her pimp. Though critics remarked the film's outrageous subject matter, it received some critical acclaim; Eugene Archer of The New York Times commented on the film, saying: "Patently absurd as the plot may be, Mr. Fuller has filmed it with flair, and he has drawn a richly amusing performance from Miss Towers. Between his stylish handling of sensational nonsense and Mr. Marton's turgid floundering around a serious theme, Mr. Fuller's wild little movie has a decided edge." The same year, Towers appeared in the thriller Fate Is the Hunter, which chronicles the investigation of an airline crash. She also worked as a model for the Heart Fund Benefit at a fashion show held in Reno, Nevada. Between 1961 and 1965, she had five guest roles on the series Perry Mason; In her first two appearances she played the murderer: Jonny Baker in "The Case of the Missing Melody" (1961) and Esther Metcalfe in "The Case of the Prankish Professor" (1963). Towers in a Broadway production of The King and I, 1977. After several film, television and stage roles (including a West Coast tour of Guys and Dolls), Towers made her Broadway debut playing the title role in Anya, a short-lived 1965 musical. Towers appeared as Julie in a 1966 production of Show Boat at Lincoln Center. She also starred in Carousel in 1966 and The Sound of Music in 1967, which she would reprise in 1970, 1971 and 1980 at the Jones Beach Theater in Long Island, New York. She briefly played Anna Leonowens in 1968, and later she played opposite Yul Brynner in a long-running revival of The King and I on tour and then on Broadway (1976–1978). Clive Barnes praised Towers in the role, and theatre writer John Kenrick calls her performance on the 1977 cast album "great." In 1995 she played the role of Phyllis in the TUTS production of Stephen Sondheim's Follies. From the mid-1960s until the 1990s, Towers' career was primarily focused on theatre, though she did appear in films occasionally. She starred in the 1974 television film Once in Her Life, which earned her an Emmy Award nomination for Best Actress in a Special Program. She also appeared on television, playing Marian Hiller, the wife of Dr. Sanford Hiller in Love is a Many Splendored Thing (1971–72). She had a starring role as noble widow Clarissa McCandless in Capitol (1982–87, the show's entire run), playing rival to the scheming matriarch Myrna Clegg (Carolyn Jones, Marla Adams, Marj Dusay) in trying to see her son succeed in politics and the long-term love of powerful Senator Mark Denning (Ed Nelson). A memorable storyline had her being shot by Mark's mentally ill wife Paula (Julie Adams) and later finding out that her husband Baxter (Ron Harper) was still alive. For this part, she received a Soap Opera Digest Nomination for Best Supporting Actress. 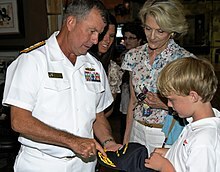 Towers during a visit to the set of the television show General Hospital as part of Los Angeles Navy Week 2011. Towers had a supporting part in the film The Next Karate Kid (1994) and appeared on television as John Abbott's former secretary, Audrey North, on The Young and the Restless (1996). She later played Madame Julianna Deschanel on Sunset Beach (1997). In 1998, Towers had supporting parts in the horror film The Relic (1998), and the thriller A Perfect Murder (1998), playing the mother of Gwyneth Paltrow's character. Towers' best-known soap part is as villainous Helena Cassadine on General Hospital which she began playing late in 1997, continuing until her character was killed off in 2017. Towers guest-starred in the Star Trek: Deep Space Nine episode "The Forsaken" in 1993. She also appeared in Designing Women, Frasier, Baywatch and The Fresh Prince of Bel-Air. Other television roles include State Trooper, Hawaii Five-O, The Rockford Files, L.A. Law, The 4400, and Cold Case. In 2008, Towers starred in the Los Angeles revival of Arthur Allan Seidelman's production of Six Dance Lessons in Six Weeks; the play premiered at the Geffen Playhouse in 2001 with Uta Hagen and David Hyde Pierce in the two roles. Towers was first married to Eugene McGrath from 1959 until their divorce in 1966. In 1974, she married actor and former ambassador to Mexico John Gavin. She has two children from her first marriage: Michael (born 1960) and Mary (born 1961). She also has two stepchildren from her marriage to Gavin. John Gavin died on February 9, 2018, aged 86. Towers serves as Chairman of the Board of Directors of the Blue Ribbon of the Los Angeles Music Center. 1952 Tales of Tomorrow Martha Episode: "Seeing-Eye Surgeon"
1957 State Trooper Doris Woodley Episode: "Beef ala Murder"
1958 Mike Hammer Jean Barr Episode: "Overdose of Lead"
1957-1958 The Bob Cummings Show Patricia Plumber Episodes: "Bob Gives Psychology Lessons" and "Bob's Forgotten Fiancée"
1960 Adventures in Paradise Laura Knight Episode: "Sink or Swim"
1961 Zane Grey Theater Beth Woodfield Episode: "Knight of the Sun"
1964 The Outer Limits Laura James Episode: "The Duplicate Man"
1965 Bob Hope Presents the Chrysler Theatre Louise Menke Episode: "Exit from a Plane in Flight"
1975 Hawaii Five-O Mrs. Thorncrest Episode: "Death's Name Is Sam"
1977 Lanigan's Rabbi Vinnie Barcas Episode: "In Hot Weather, the Crime Rate Soars"
1979 The Rockford Files IRS Agent Sally Sternhagen Episode: "The Big Cheese"
1979 Fantasy Island Shirley Forbush Episode: "Hit Man/The Swimmer"
1981 Fantasy Island Maggie Dunphy Episode: "Perfect Husband, The/Volcano"
1987 Murder, She Wrote Margaret Witworth Episode: "Murder, She Spoke"
1987–1988 L.A. Law Charlotte Kelsey Episodes: "Rohner vs. Gradinger" and "Full Marital Jacket"
1989 MacGyver Francine Leyland Episode: "Ma Dalton"
1989 Midnight Caller Teresa Chandler Episode: "Blood Red"
1990 Designing Women Louise Pollard Episode: "The Mistress"
1991 Matlock Alice Windemere Episode: "The Suspect"
1992 Baywatch Maggie James Episode: "Sea of Flames"
1992 Civil Wars Harriet Guilford Episode: "Das Boat House"
1993 Star Trek: Deep Space Nine Taxco Episode: "The Forsaken"
1994 Frasier Clarice Warner Episode: "Slow Tango in South Seattle"
1994 Thunder in Paradise Cavanna Episodes: "Deadly Lessons: Part 1" and "Deadly Lessons: Part 2"
1994 Silk Stalkings Karen Krane Episode: "Ask the Dust"
1995 Caroline in the City Barbara Episode: "Caroline and the Folks"
1995 High Society Boatie Episode: "Tomb with a View"
1998 Kelly Kelly Kate Episode: "The Kilt Show"
2000 Providence Candice Whitman Episode: "Syd in Wonderland"
2006 Criminal Minds Deb Mason Episode: "Riding the Lightning"
2007 The 4400 Audrey Parker Episode: "Audrey Parker's Come and Gone"
2013 1600 Penn Bunny Thoroughgood Episode: "So You Don't Want to Dance"
2014 Men at Work Mary Episode: "Suburban Gibbs"
2016 11.22.63 Old Sadie Episode: "The Day in Question"
^ "Constance Towers". Master Works Broadway. Retrieved January 22, 2016. ^ "The Complete Samuel Fuller". Harvard Film Archive. Retrieved October 17, 2016. ^ a b c d e f g "Constance Towers". Glamour Girls of the Silver Screen. Retrieved January 22, 2016. ^ a b "Constance Towers profile at FilmReference.com". Film Reference. Retrieved September 3, 2011. ^ a b c d Thomas, Nick (July 21, 2014). "Tinseltown Talks: Constance Towers recalls two John Ford classics". Victorville Daily Press. Retrieved October 17, 2016. ^ a b "Constance Towers Playing Helena Cassadine on General Hospital - Soaps.com". Soaps.sheknows.com. Retrieved October 1, 2013. ^ Anthony Tommasini (January 22, 2001). "Beverley Peck Johnson, 96, Voice Teacher". The New York Times. The New York Times Company. ^ "Bring Your Smile Along (1955)". Turner Classic Movies. Rovi. Retrieved November 11, 2016. ^ Crowther, Bosley (May 26, 1960). "Movie Review: Sergeant Rutledge". The New York Times. Retrieved November 10, 2016. ^ Crowther, Bosley (September 12, 1963). "Screen: Romantic Middle-Aged Men and Women:'Of Love and Desire' Stars Merle Oberon 3 Other Films Arrive at Local Theaters 'Shock Corridor' Leave It to the Girls". Retrieved November 9, 2016. ^ "The Naked Kiss (1964)". Turner Classic Movies. Rovi. Retrieved November 10, 2016. ^ Archer, Eugene (October 29, 1964). "' Thin Red Line' and 'Naked Kiss' Open". The New York Times. Retrieved November 10, 2016. ^ Affron 2002, p. 329. ^ Rodgers 2002, p. 316. ^ "Biography - Constance Towers". American Theatre Wing. Retrieved October 1, 2013. ^ Barnes, Clive (May 3, 1977). "King and I, reminder of golden age". The New York Times. The New York Times Company. p. 50. Retrieved January 30, 2014. ^ Kenrick, John. "Comparative CD Reviews: Part III. The King and I" (Copyright 1998–2003), accessed January 30, 2011. ^ The Singer's Musical Theatre Anthology: Vocal Duets Book Only. Hal Leonard Corporation. 1987. p. 5. ISBN 9781480318564. ^ "Constance Towers Credits". TV Guide. NTVB Media CBS Interactive (CBS Corporation) (digital assets). November 28, 2012. Retrieved October 1, 2013. ^ Stoudt, Charlotte (November 5, 2008). "'Six Dance Lessons in Six Weeks'". Los Angeles Times. Retrieved January 27, 2017. ^ Oxman, Steven (June 10, 2001). "Review: 'Six Dance Lessons in Six Weeks'". Variety. Retrieved January 27, 2017. ^ Bacon, Doris Klein (August 29, 1983). "John Gavin Is Our Man in Mexico and Constance Towers Is His Woman in the (TV) Capitol". People. ^ Bacon, Doris Klien (August 29, 1983). "John Gavin Is Our Man in Mexico and Constance Towers Is His Woman in the (TV) Capitol". People. Time Inc. Retrieved January 22, 2016. ^ "Los Angeles Music Center: Blue Ribbon: Board of Directors". Music Center. Retrieved January 22, 2016. ^ "Constance Towers". Playbill Vault. Retrieved November 11, 2016. Affron, Charles. Lillian Gish: Her Legend, Her Life. University of California Press. ISBN 978-0-520-23434-5. Rodgers, Richard (2002). Musical Stages: An Autobiography. DeCapo Press. ISBN 978-0-306-81134-0. Wikimedia Commons has media related to Constance Towers. Interview, May 17, 2017; accessed May 18, 2017.